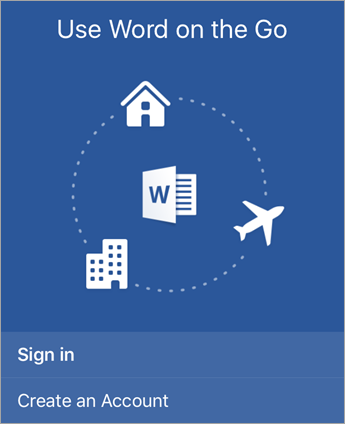 Tap Sign in if you already have a Microsoft Account or an Office 365 work or school account. 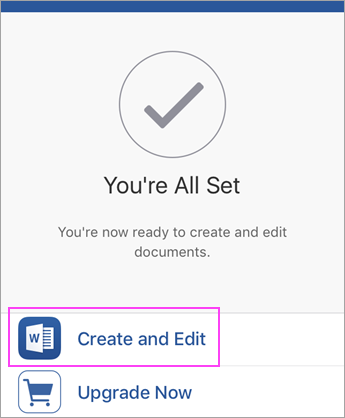 Note: Or tap Create an Accountto create a new Microsoft Account using any email address you already have. 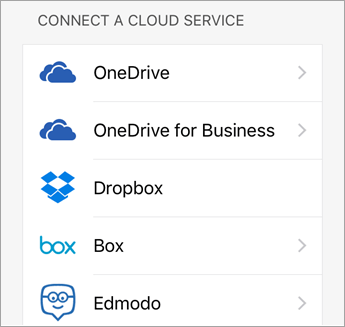 This is either your Microsoft account or your work or school account. Tap Next. 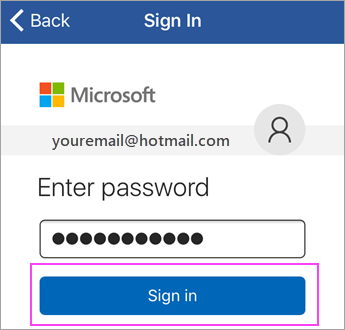 Note: For a new Microsoft Account, create a password and then follow the prompts to verify your identity. 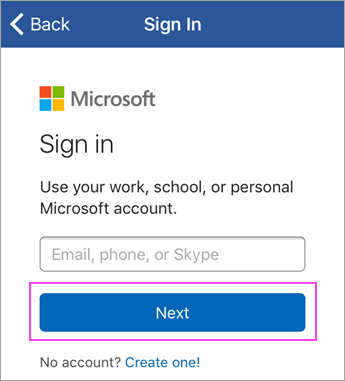 Enter the password associated with your account and tap Sign in. 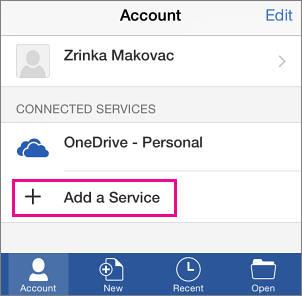 To add another account, like OneDrive for Business or Dropbox, tap Account > Add a Service.